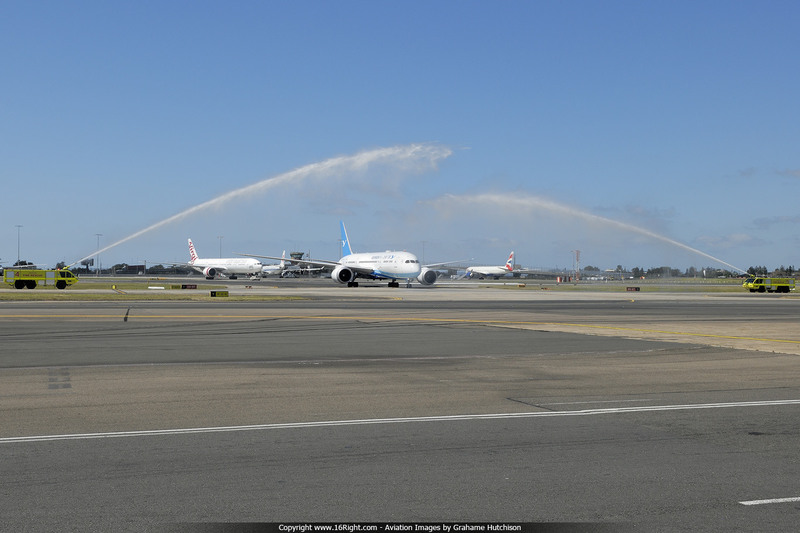 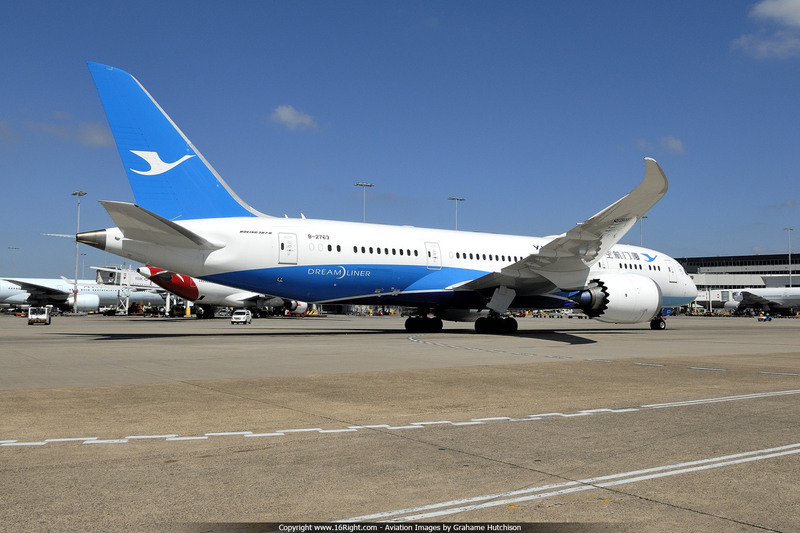 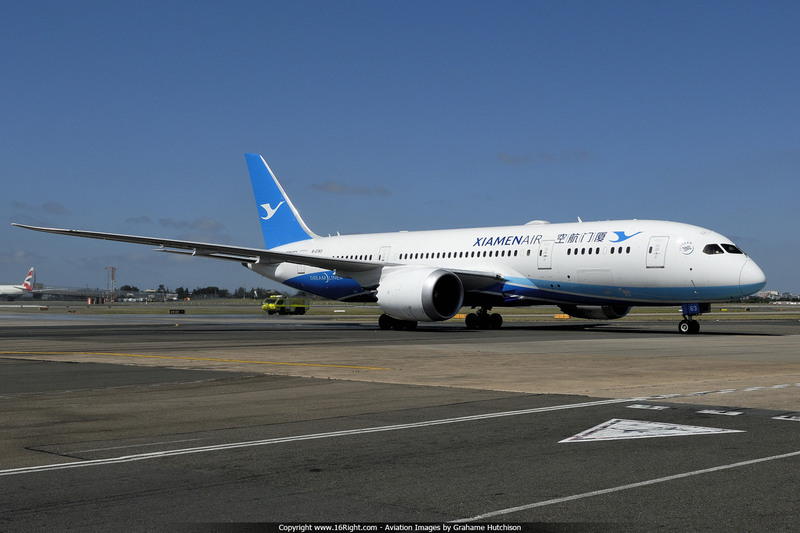 Xiamen Airlines Boeing B787-8 Dreamliner B-2763 touched down on Sydney's Runway 16L this morning, operating the inaugural service from Fuzhou to Sydney. 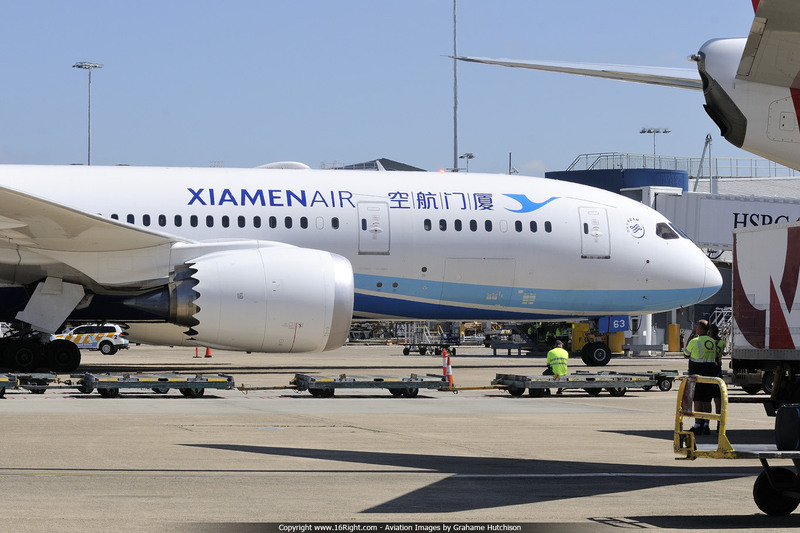 This service will operate three times per week, and will be followed on the 6th December 2015 with a twice weekly Xiamen to Sydney service (to increase to 4 times per week in February for the busy Chinese New Year period). 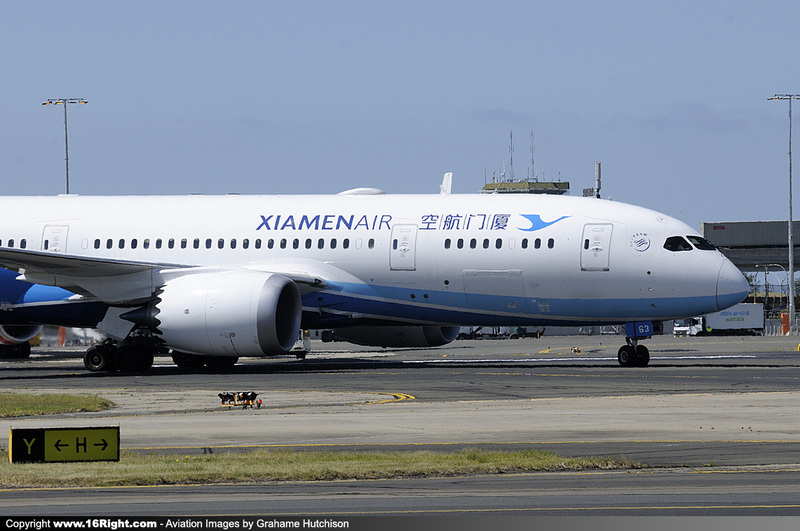 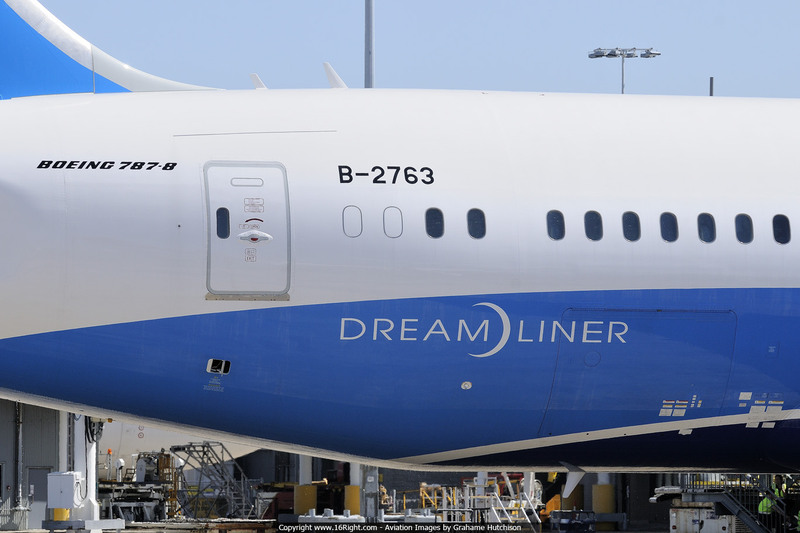 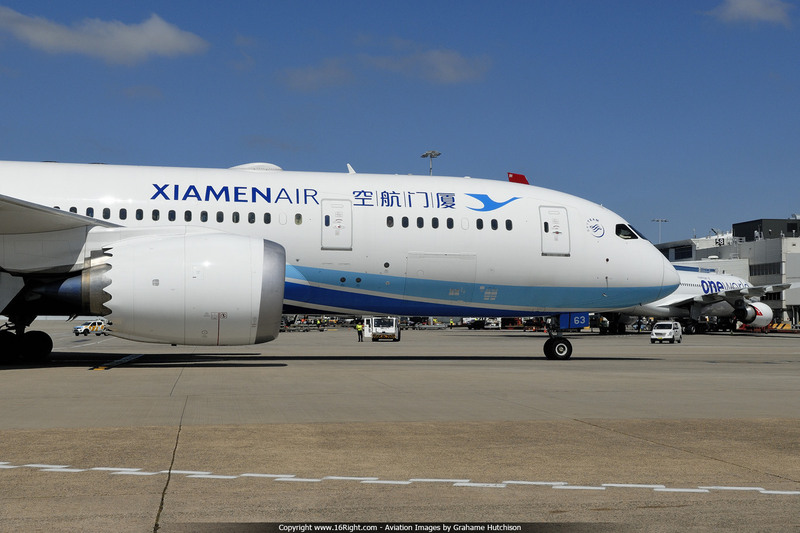 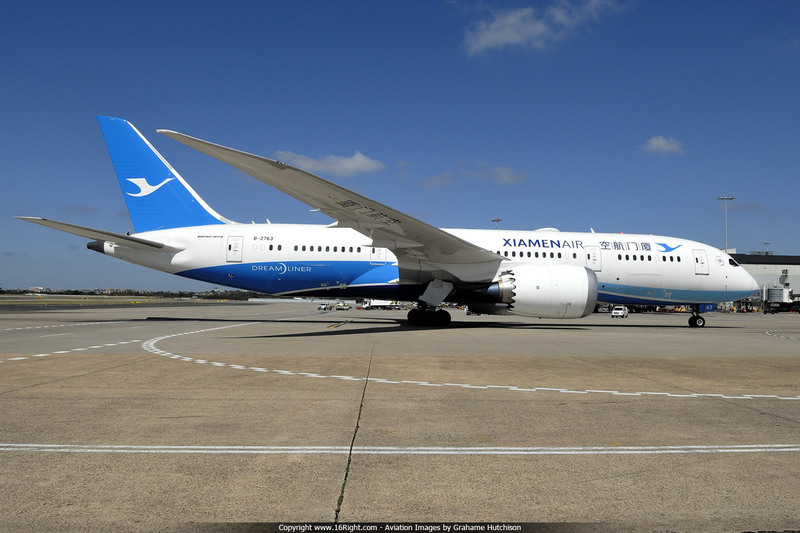 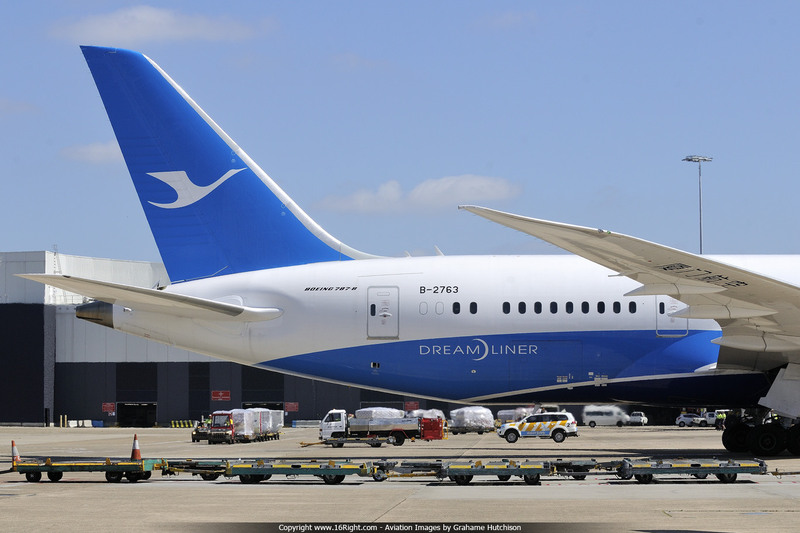 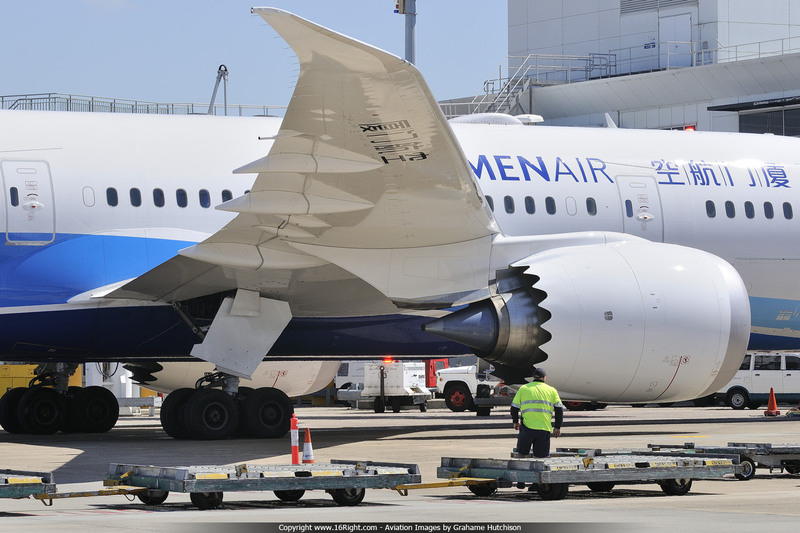 Both routes will be operated by the Xiamen Dreamliner. 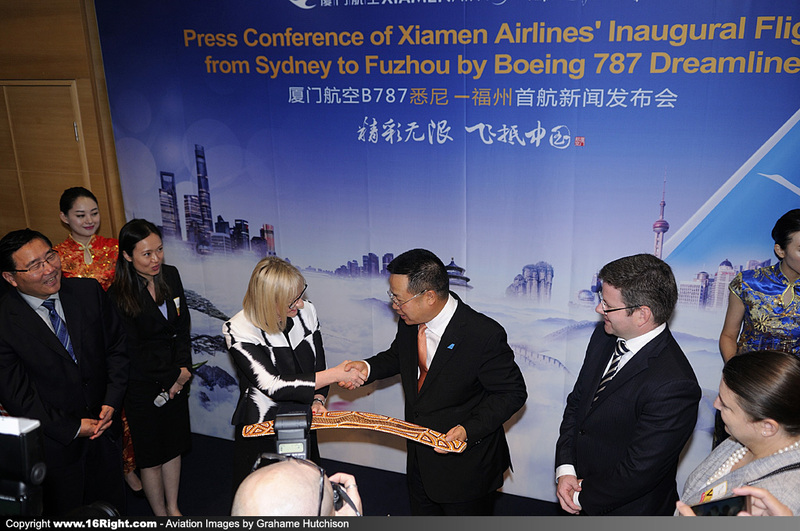 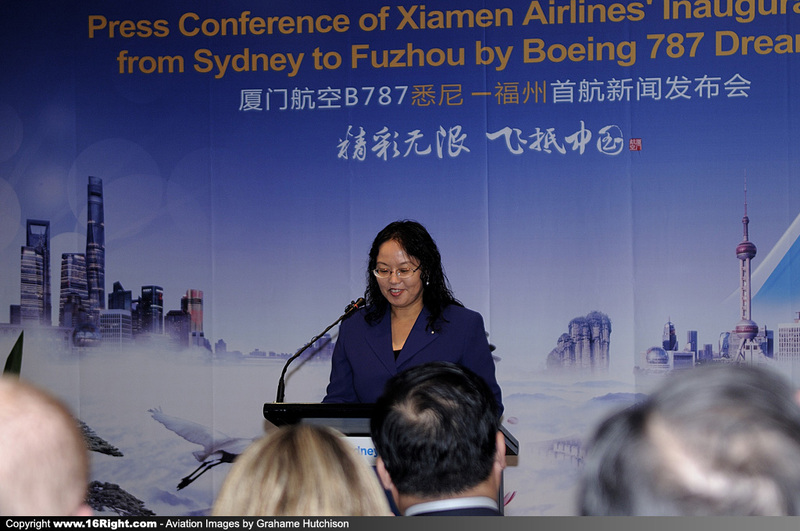 Sydney Airport Corporation CEO Kerrie Mather, representing the NSW Minister for Trade, Tourism and Major Events, Mark Coure, and Ms Wong from the Chinese Consulate-General in Sydney, all welcomed Xiamen Airlines CEO Che Shanglun and Xiamen Airlines to Sydney. 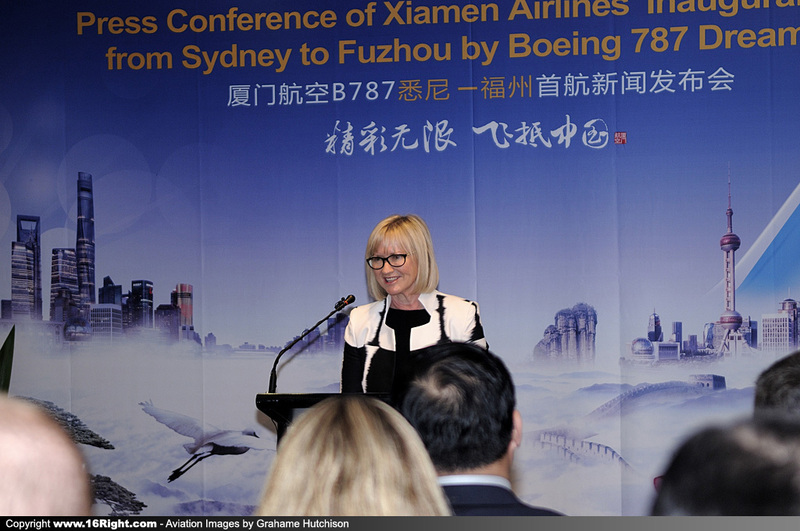 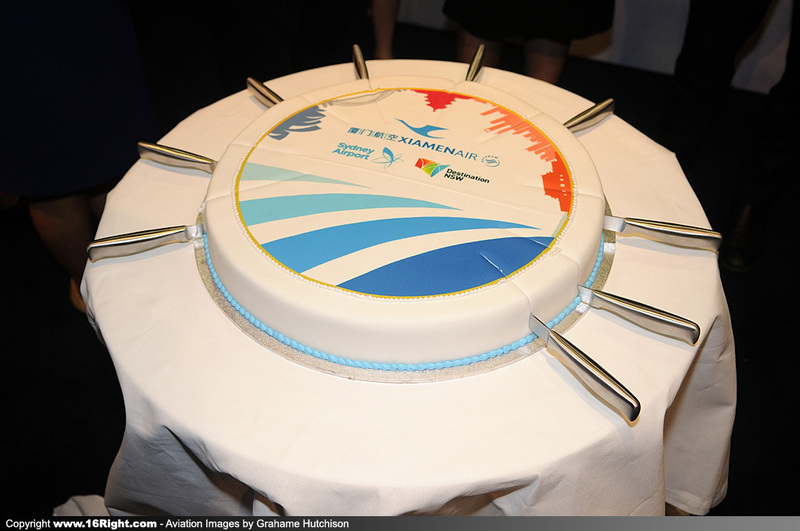 Sydney Airport Corporation CEO Kerrie Mather said, "This new airline, with two new mainland China routes, will boost tourism in our city and State. 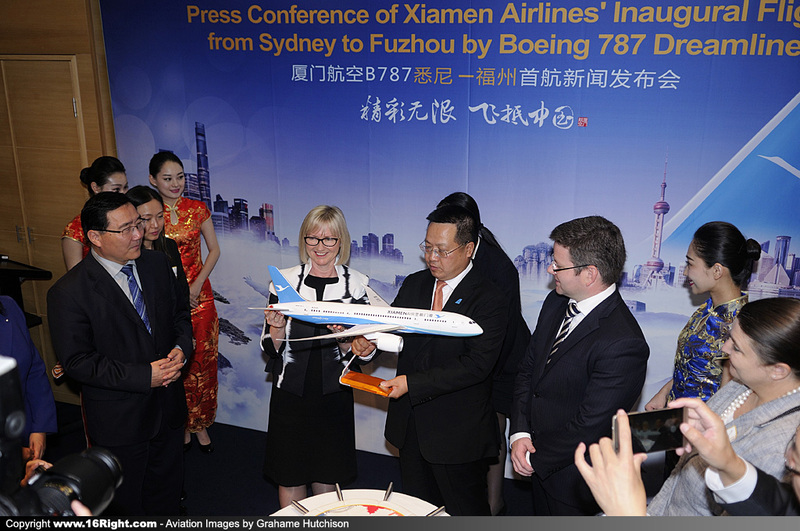 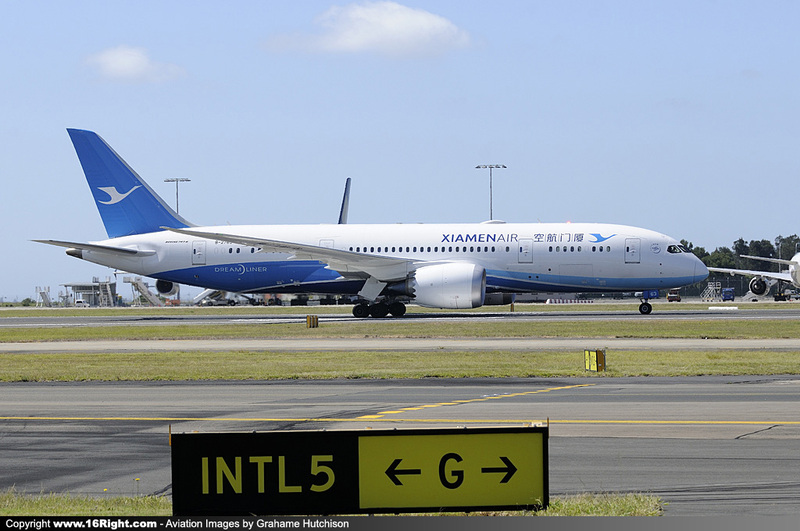 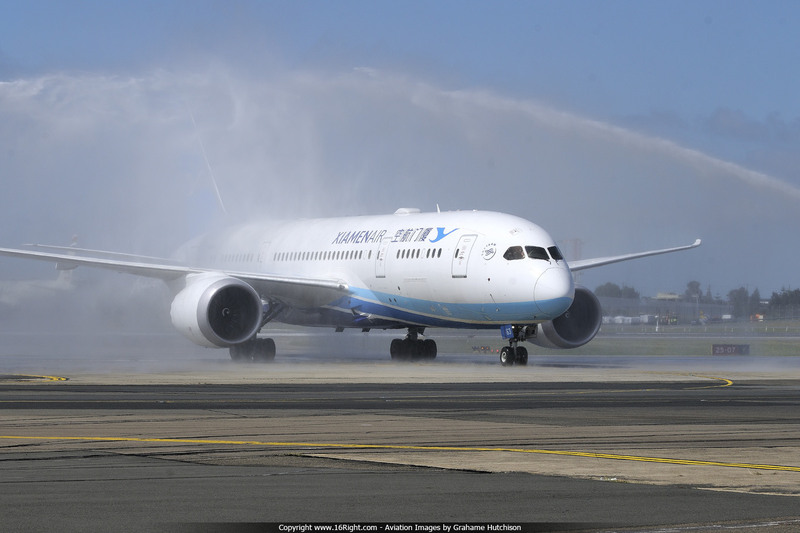 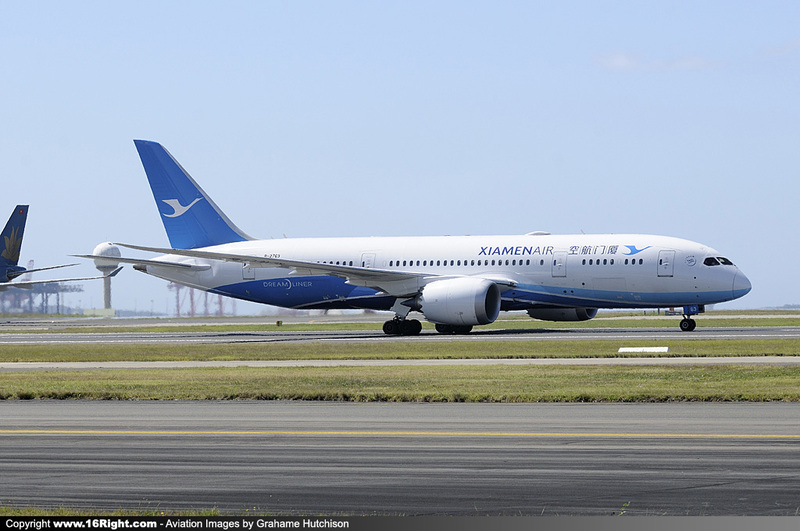 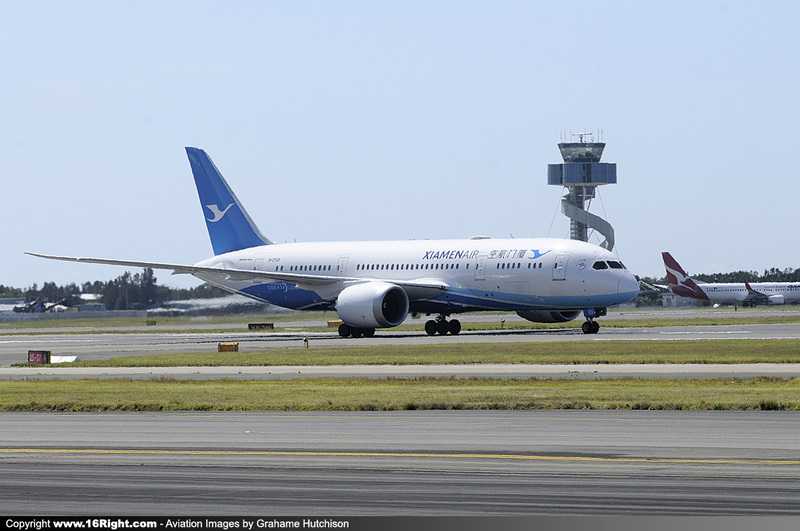 Xiamen Airlines is expected to bring an additional 36,000 Chinese visitors to Sydney each year, contributing an anticipated $136 million in additional annual visitor expenditure to NSW. 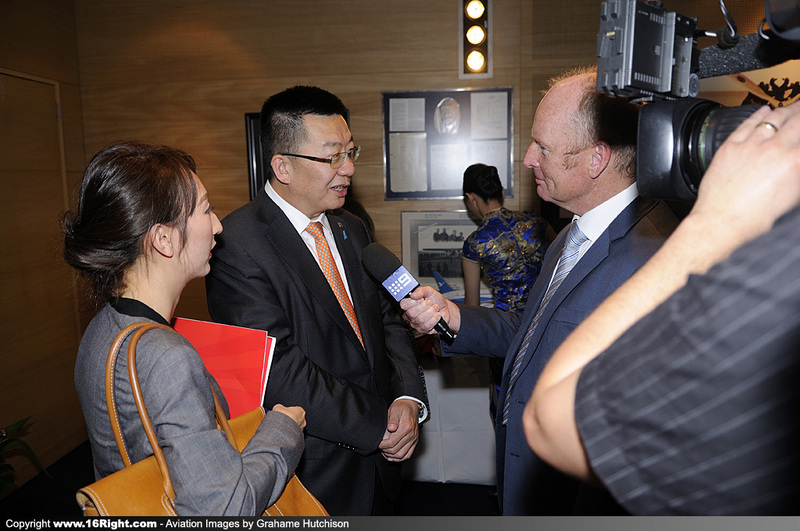 It is also great news for trade, as the new services provide additional business connectivity and investment links to China for Australian businesses and exporters". 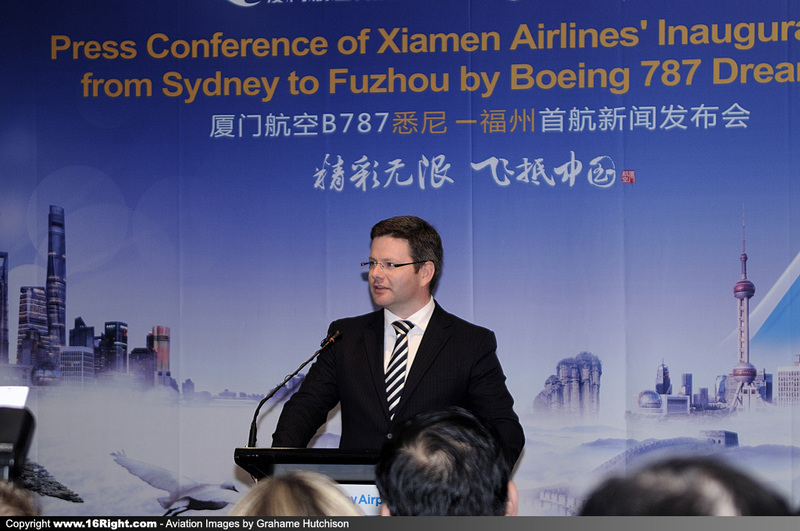 NSW Government Minister for Trade, Tourism and Major Events, Stuart Ayres, said "China is the largest inbound tourism market in NSW, with 526,000 Chinese visitors last financial year - an increase of 24% on the previous year. 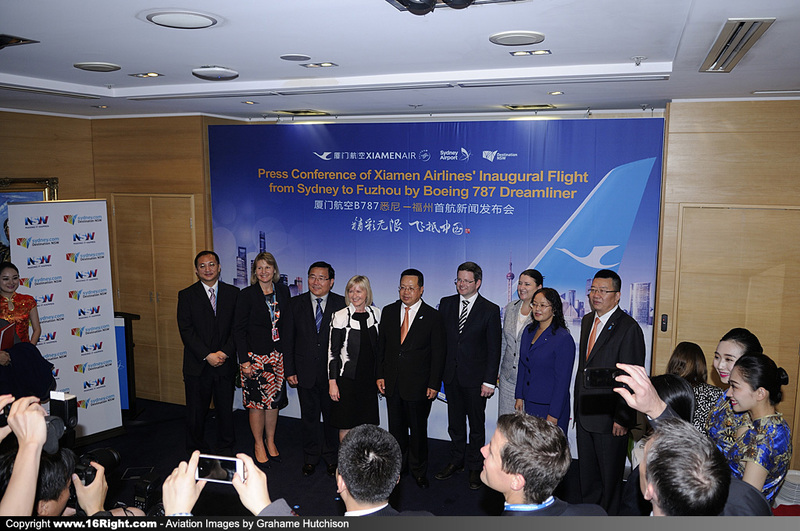 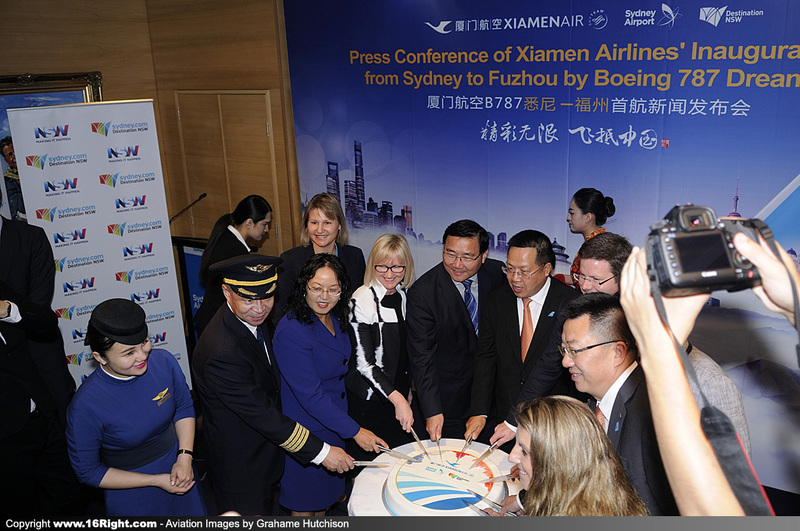 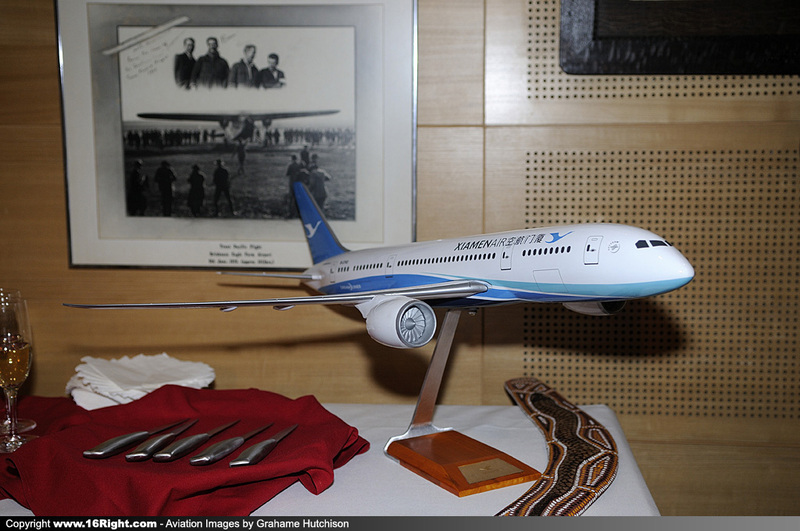 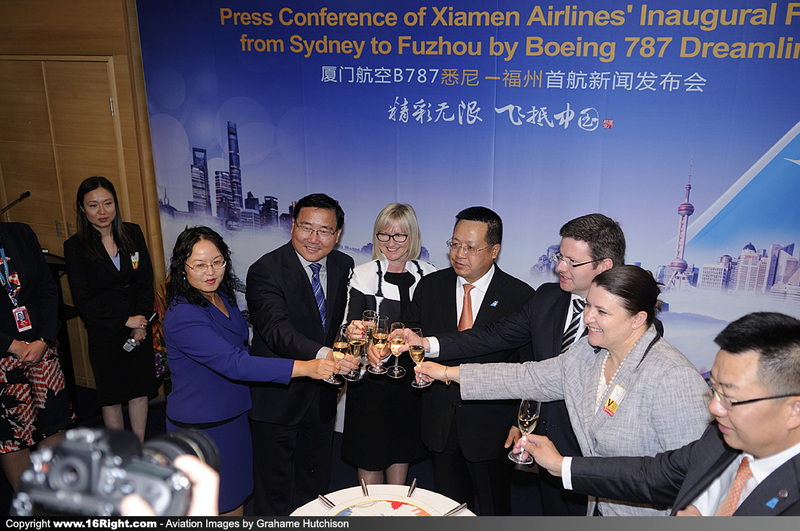 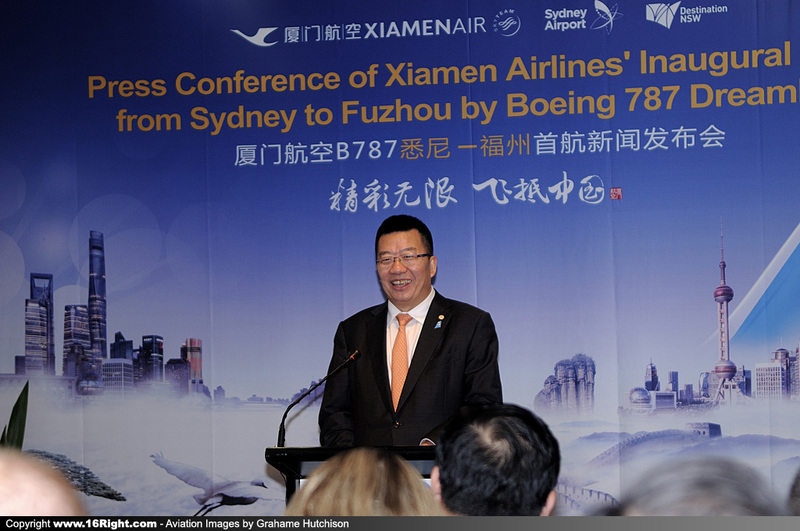 Xiamen Airlines will be Sydney Airport's fifth Chinese mainland airline serving destinations across mainland China. 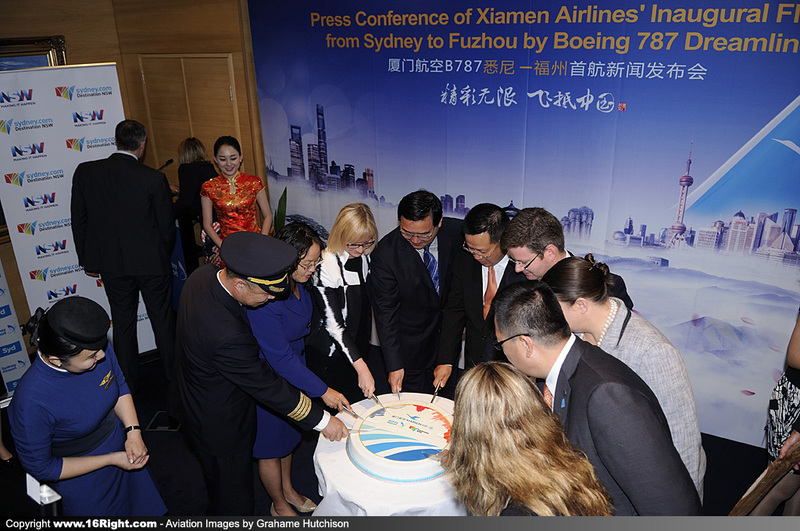 Sydney Airport is the world's leading airport for Chinese long haul airlines, with six carriers serving eight mainland Chinese cities by the end of this year. 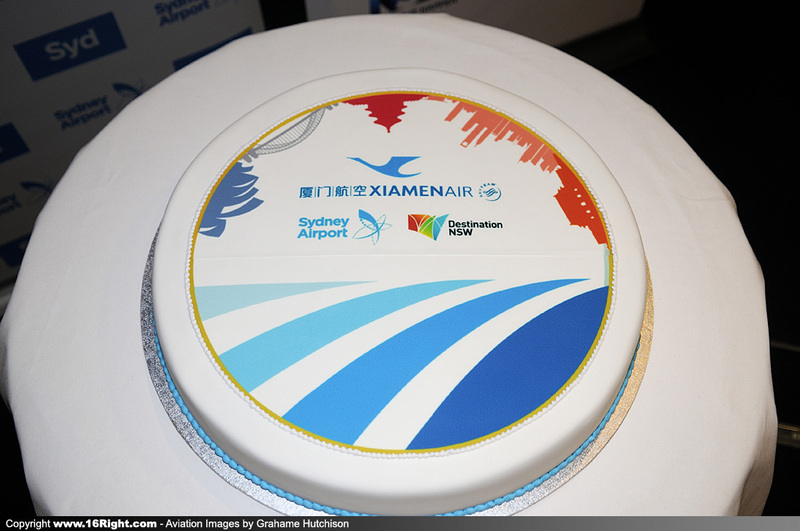 Sydney Airport has implemented a range of China ready initiatives to welcome Chinese passengers, including Mandarin speaking Airport Ambassadors, information available in simplified Chinese, acceptance of Union Pay, support of events such as Lunar New Year, and tailored retail, food and beverage offerings.